ASEAN has applied various strategies to boost tourism. The unique cultures and diverse models of eco-tourism, recreational activities and travel options have made the region a top choice for tourists all over the world. Le Huong reports. Sunrise warms a cool autumn morning at the Thai Hai Stilt House Preservation & Ecological Tourism Village in the northern province of Thai Nguyen. Sunlight sparkles through the green trees while birds twitter in the branches. Wrapping a scarf around her head, Truong Thi Thuong of the Tay ethnic group carries a bamboo pole to the village well. She joins other women on the way to the only clean water source running down the mountains. “Collecting water early in the morning is a task for the women, along with other domestic work,” she told Viet Nam News. “Men in our village do heavier tasks like farming, building houses and brewing wine. After completing her home chores, Thuong works for the tourism site where she lives. Thuong’s family is among about 100 households of other ethnic groups who have settled in the area. They have joined forces to turn the bare hills known as Bo Tien into today’s fertile green land. The villagers plant vegetables, tea and wood trees while serving tourists and preserving their own traditional cultures. Tourists can enjoy the natural landscape, learn about the ethnic culture, and have organic food and wine prepared by locals. Besides stilt houses, the village has special areas for making wine and processing traditional medicine from the nearby forest. 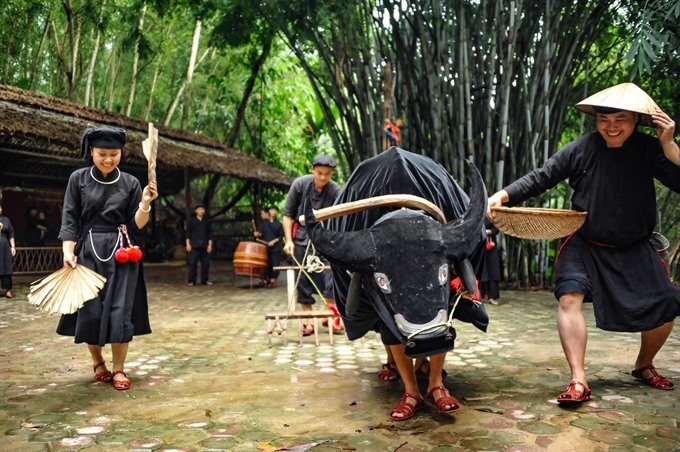 The tourism village was launched in 2003 by Nguyen Thi Thanh Hai, also a Tay woman, who wanted to preserve her traditional cultures during the rapid pace of urbanisation. “I want to hold on to the souls of the houses, so I decided to develop the village," she said. The village is the first private tourism area in the province to be recognised as a local tourism site, and now receives thousands of domestic and foreign tourists each year. 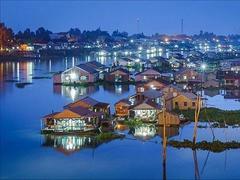 The site, just about 20-minute drive from the centre of Thai Nguyen City, 70km to the north of Ha Noi, has 30 original stilt houses of the Tay and Nung groups, some of which are more than 50 years old. New houses have also been built to add hostel services for tourists. The village can host up to 2,000 customers at once and 500 visitors overnight. In 2018, the village’s model was given the ASEAN Sustainable Tourism Awards in the Rural Products category by the ASEAN Tourism Forum. The site is one among dozens of models of sustainable eco-tourism found throughout Viet Nam. The International Ecotourism Society defines ecotourism as “a form of responsible tourism in natural areas, which protects nature and contributes to the welfare of local communities”. Sustainable development is defined as “tourism that respects both local people and the travellers, cultural heritage and the environment” by the UN culture agency UNESCO. It seeks to provide people with an exciting and educational holiday that is also of benefit to the people of the host country. There are various forms of alternative or sustainable tourism such as: ‘nature-based tourism’, ‘ecotourism’ and ‘cultural tourism’. Many ASEAN countries have been embracing sustainable tourism for a long time. 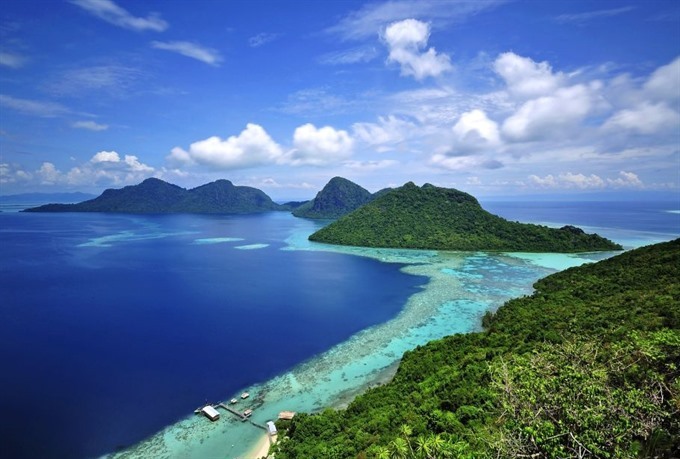 One of them is Tun Mustapha Marine Park covering 900,000ha, making it the largest conservation area in Malaysia. According to Post Magazine, the park, which was established in 2016, aims to solve the biggest issues facing Southeast Asia’s marine environment like climate change, over-fishing, poaching and the destruction of coral reefs. 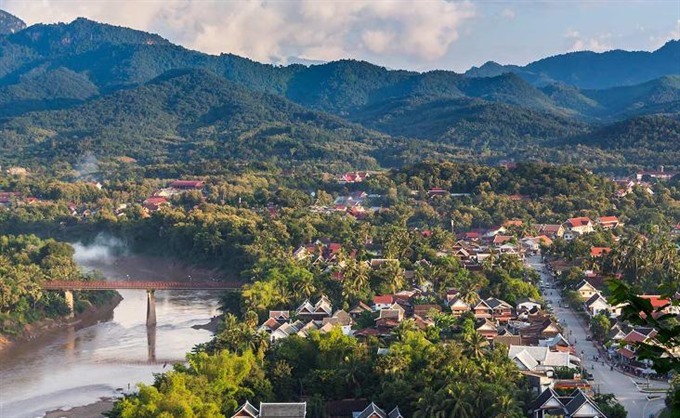 Responsible tourism in Luang Prabang, Laos, can be seen in hotels, cafes and infrastructure. Adventure sports, spiritual tourism, culture, food and eco-tourism are all embracing sustainability, as mentioned in explorewithecokats.com. According to the World Travel & Tourism Council, the travel and tourism sector contributed US$329.5 billion in 2017 alone, accounting for 12 per cent of GDP, and is forecast to reach $598.3 billion by 2028, making up 13 per cent of total GDP in the region. The sector generated nearly 14.5 million jobs, accounting for 4.7 per cent of total employment in 2017. By 2028, travel and tourism will account for over 20 million jobs directly. Various cases prove ASEAN governments are on the right track. Boracay, a small island in the Phillipines, is a typical example. Once considered the world’s most idyllic place, the island was shut down to tourists for six months last April. According to telegraph.co.uk, the country has experienced a surge in tourists over the past few years. Tourists reached one million in 1990, but last year 6.6 million visited the country. A third of them went to Boracay. The island, with a population of 30,000, had to receive more than two million guests, resulting in a serious pollution problem. Filipino President Rodrigo Duterte called it a “cesspool” in April. Despite the fact that income from tourism on the island had reached $1 billion per year, the president took the brave decision to close the island to restore facilities there. On October 26, the island reopened with a series of new regulations. For example, all water sports are now prohibited, three casinos have been closed and nearly 400 hotels and restaurants have been shut down for violating environmental regulations. The first tourists to set foot on the island were stunned by the clean white sandy beaches. 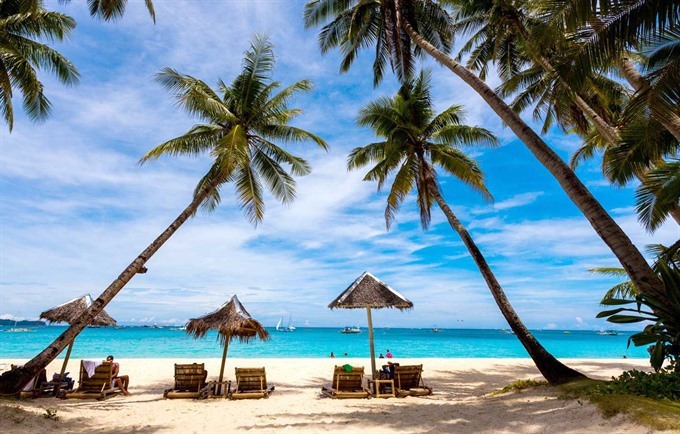 The inquirer.net quoted Filipino tourism secretary Romulo Puyat as saying she hoped Boracay would be the beginning of a sustainable tourism culture in the country. She added that many other tourism sites would follow the example. 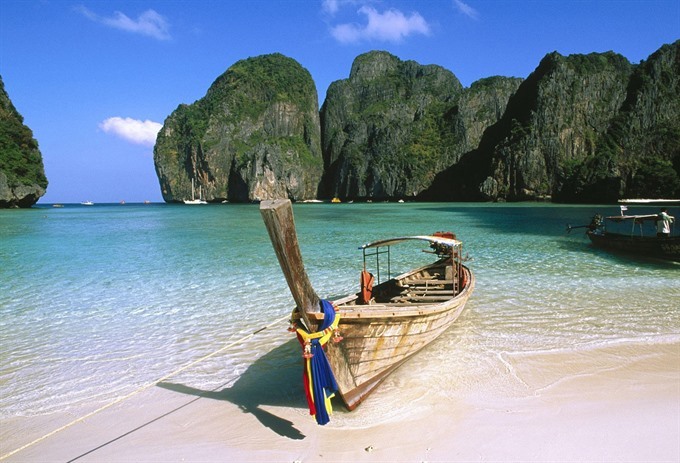 Another sea paradise, Maya Bay in Thailand’s southern province of Krabi, has been closed since June last year. According to The Nation newspaper, at first authorities announced a temporary closing for four months. Then the restrictions were announced to remain until the ecosystem “fully recovers to a normal situation”. Unlike Manila, Bangkok had been reluctant to shut down the area for years due to tourism revenue of $12.5 million a year. The golden sands and blue waters surrounded by cliffs on Ko Phi Phi Leh Island have been among the most popular in the country since The Beach starring Leonardo DiCaprio was released in 2000. The area received up to 5,000 tourists and 200 boats a day. The mass tourism has resulted in serious pollution and damage to the local coral reefs. At an ASEAN tourism ministers’ meeting held last year in Chiang Mai, Thailand, participants emphasized the need to expand the group’s tourism products through collaborative arrangements with partners. They also targeted gastronomy as a key driver to achieve inclusiveness and sustainable development for local agricultural producers and chefs and to re-connect rural and urban environments. A joint declaration on gastronomy tourism was signed recognising the integral role that gastronomy plays in building competitive destination brands. “Gastronomic tourism helps to create a strong sense of place for branding and marketing destinations, and also assists in maintaining and preserving local heritage and identity and protecting biodiversity,” said the declaration. The notion of heritage and identity through food is related to various sources and can be seen at local buffets at luxurious hotels to food stalls in the streets in capitals of member nations. ASEAN is among the most fertile agricultural baskets in the world. The latest statistics from the ASEAN Secretariat show the region produced over 214 million tonnes of rice, 158 million tonnes of sugarcane, 87 million tonnes of cassava, 43 million tonnes of maize, and 1.5 million tonnes of soybean in 2016. The impressive number of tourists to the region has urged agencies to implement various initiatives and infrastructure to boost gastronomic tourism. The ASEAN Food and Cultural Festival was held in Ho Chi Minh City in September 2017 drawing crowds of tourists from the region and beyond. The executive committee of the city’s Women’s Union organised the event to celebrate the 50th anniversary of ASEAN. In Malaysia, local cuisine has been crucial in marketing tourism. The country’s International Durian Cultural Tourism Festival has become an annual fair. Lonely Planet recognised Penang as one of the world’s top 10 food destinations in 2014. Thailand was an early practiser in gastro-diplomatic principles. The “Global Thai” campaign kicked off in 2002 aiming to spread Thai food around the world. The Thai government has not only tried to draw tourists to the country, but has also tried to create opportunities for Thai and international chefs to cook Thai food. Last year, Bangkok hosted an annual food forum organised by the UN World Tourism Organisation and the Basque Culinary Centre. The city that got first place in the Michelin Guide in 2017 and hosts three of the top 10 restaurants in Asia’s 50 Best Restaurant List took the opportunity to maximize its potential as a food destination with more than 500 international experts. “Culinary art is a kind of cultural heritage and even the most important cultural heritage,” cultural researcher Dang Van Bai said at a workshop on preserving and developing Vietnamese cuisine held in Ha Noi last March. 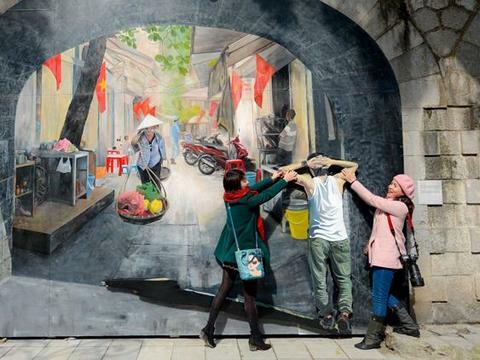 Researcher Vuong Xuan Tinh, former rector of the Ethnic Studies Institute, said that Viet Nam had abundant natural resources to develop gastronomy tourism thanks to various ethnic groups and diversified cultures. “For example, we can create food tours exploring vegetarian dishes, dishes by different ethnic groups, dishes serving religions…,” he was quoted in Thanh Nien News as saying. "In the central region, tourists can try vegetarian food on the first and the 15th day of a lunar month in Da Nang and Hoi An." According to a survey by the World Food Travel Association, around 25 per cent of tourists are interested in the local food where they visit. Tinh said that Viet Nam’s cuisine had been neglected. “Only some companies run food tours on a small scale,” he continued. The Viet Nam National Administration of Tourism (VNAT) has made a detailed plan for developing tourism to 2020 with a vision of 2030, but only one page mentions food. In Ha Noi, a centre for culinary art in the north, not a single word on cuisine was mentioned in its 2017 plan. “Gastronomy tourism is underdeveloped in comparison with other countries, from strategy to action and efficiency,” Tinh said. 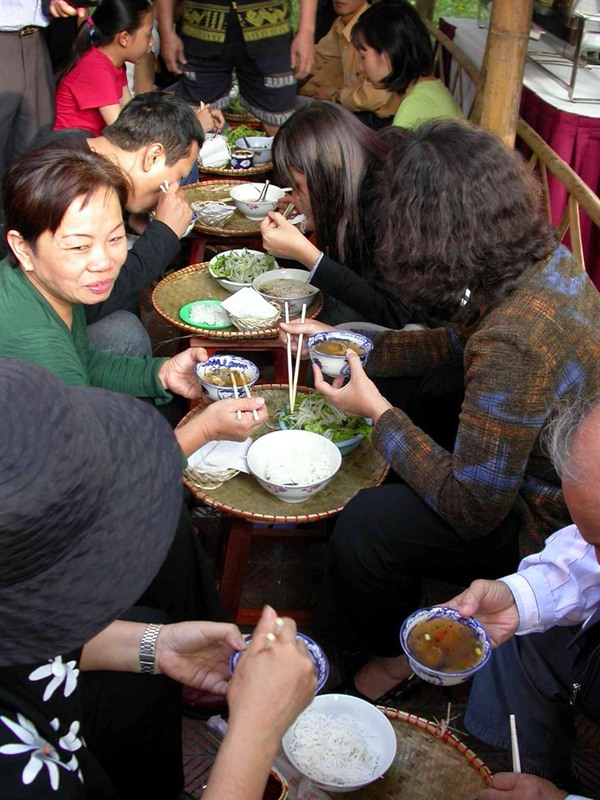 According to Nguyen Thi Thanh Huong, deputy director of the VNAT, the country has hosted various activities to introduce local food to tourists. “In 2017, the food festival in the northern province of Lao Cai was a highlight,” she said. “In 2018, there was also a food festival in the northern province of Quang Ninh. “In April, 2018, there was a traditional cake festival in the southern province of Can Tho. 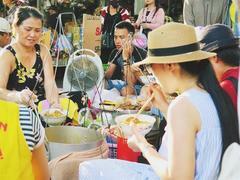 Every year, HCM City hosts an international food festival. Huong confirmed that the State sponsors food festivals but not food tours, which should be run by private companies. Pham Ha, director of Luxury Travel, which runs various food tours, said it was not easy to find suitable guides who understood the culinary arts and loved culture. “These guides can inspire tourists with their passion for the culinary arts,” he said. 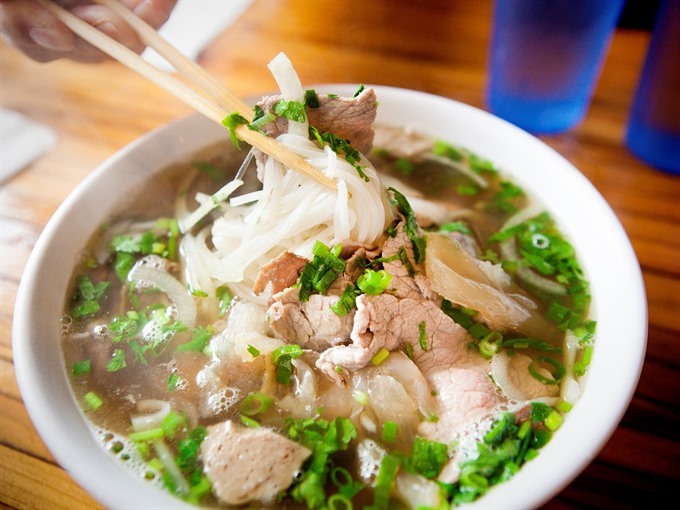 Culinary expert Nguyen Quang Viet suggested the establishment of a special day for famous food like pho. Acecook Viet Nam, a Japanese enterprise specialising in dry noodles, has registered April 4 the Day of Pho in Japan as pho is pronounced in Japanese nearly the same as the word “four” in English. To enhance connectivity for tourism, the ASEAN Framework Agreement on the Facilitation of Cross-Border Transport of Passengers by Road Vehicles has been signed to facilitate unified cross-border mobility for tourists and to promote overland travel between ASEAN members. The Tourism Authority of Thailand has been very active in hosting media trips to promote ASEAN Connectivity. The most recent five-day trip was held in last September linking Bangkok with Mandalay, Chiang Mai and Luang Prabang. There are around 600 international flights per week departing from Thailand to other destinations in Cambodia, Laos, Myanmar, Viet Nam and Thailand. The North-South Corridor will connect the south of China, Thailand, Malaysia and Singapore, while the East-West Corridor starts from India and finishes in Viet Nam.